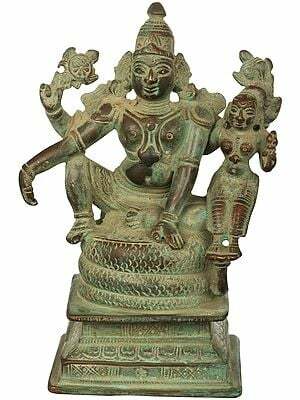 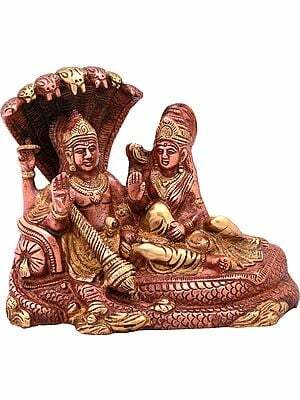 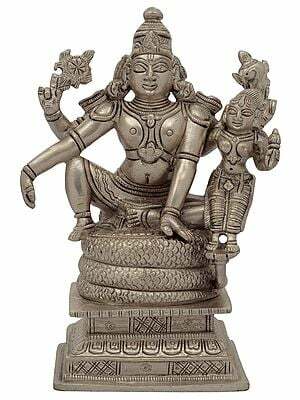 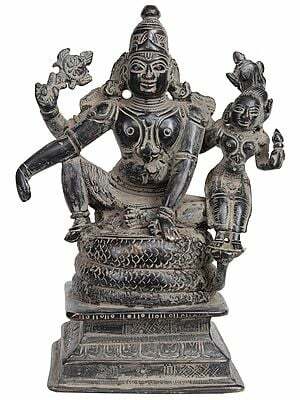 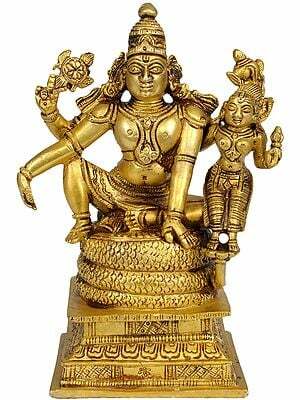 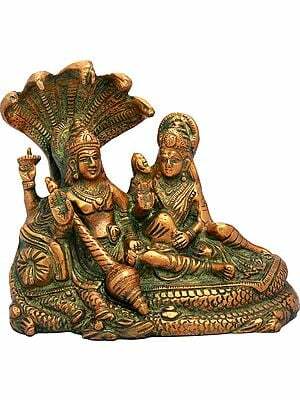 Indian sculpture is a well developed art, not confined to any one medium. 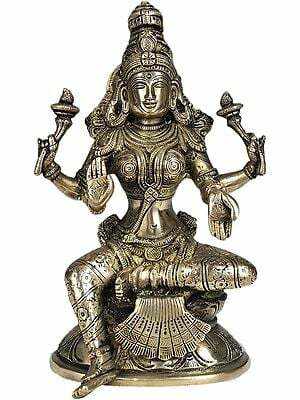 This brass image has a very aesthetic quality, the high point of this object d' art. 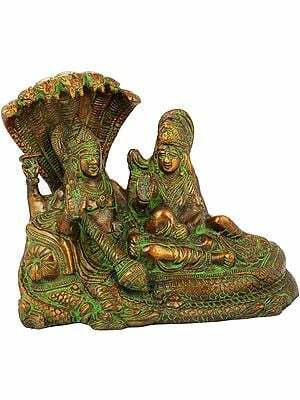 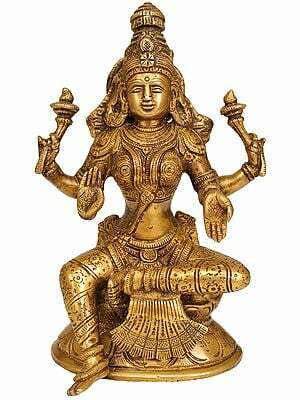 Sri is highly eulogised as a goddess for her beauty and devotion to Lord Vishnu. 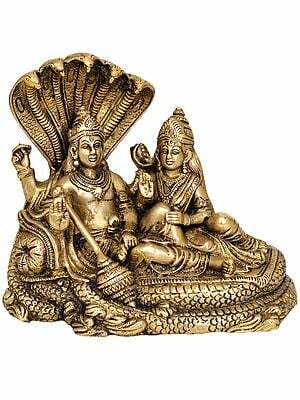 In every incarnation of Vishnu she has been his consort. 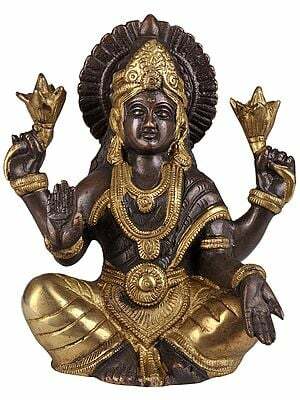 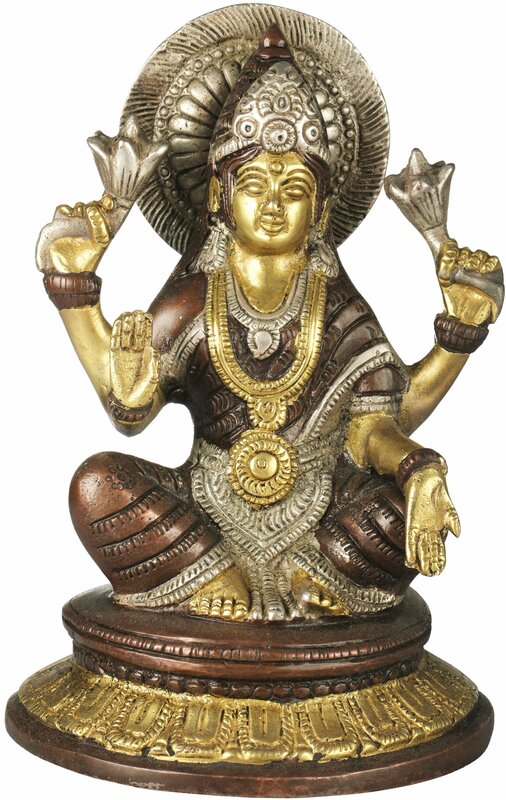 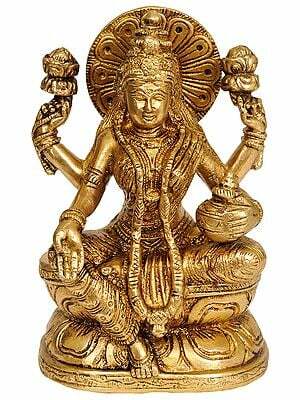 Lotus is associated with Lakshmi as her asana and attributes. 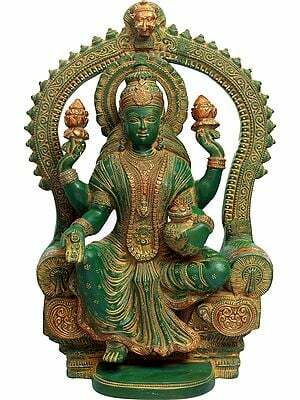 Lotus is a sacred flower representing water as well as self-creation. 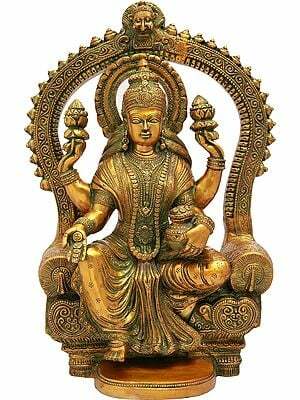 Here, the goddess of beauty and prosperity sits on an inverted lotus. 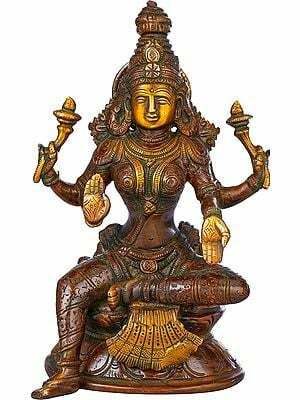 Although rarely represented without Vishnu, she sits alone here emanating charm and spirituality. 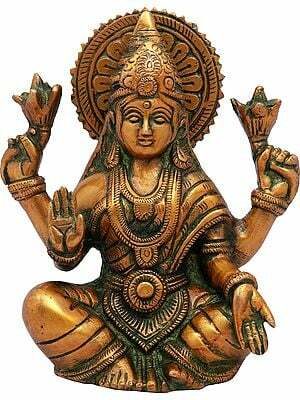 She is depicted as a beautiful deity with a face that resembles the glow of the rising sun. 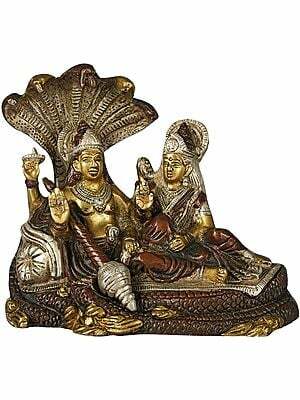 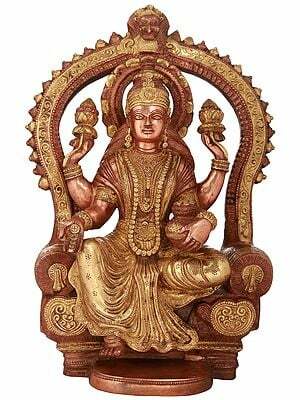 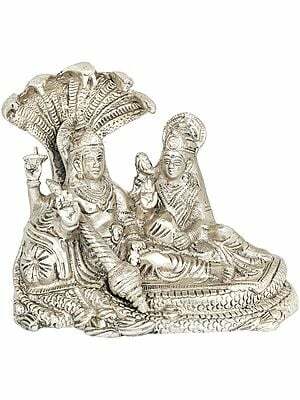 She wears an elaborate crown (mukuta) and jewellery befitting the wife of the sustainer of the universe. 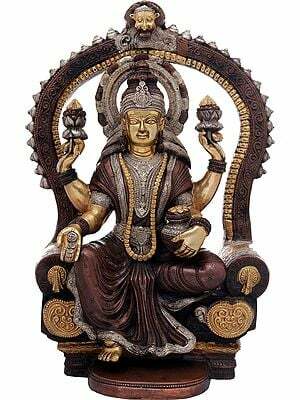 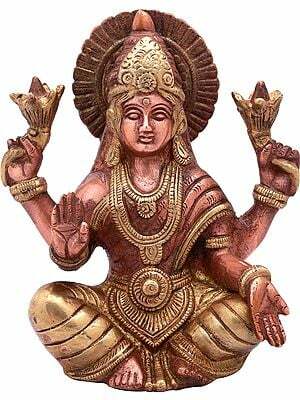 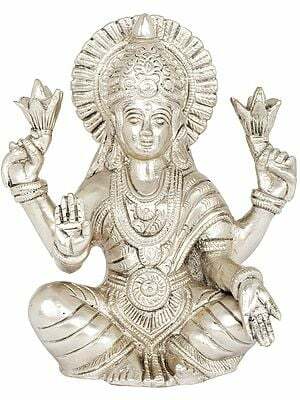 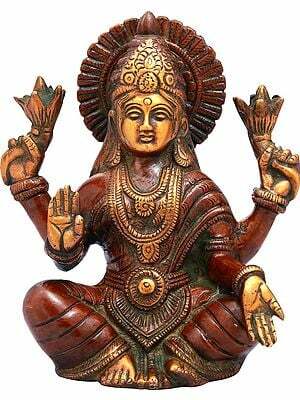 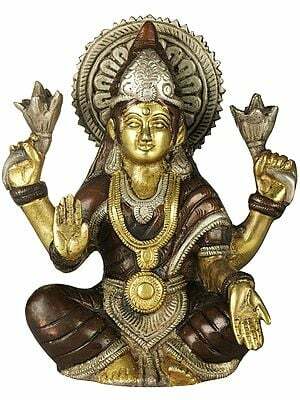 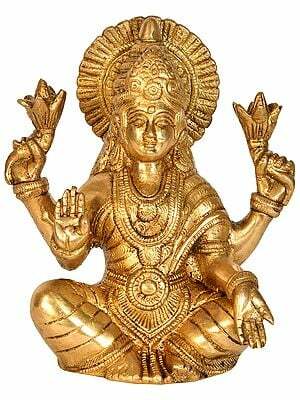 One of her hand is raised in a gesture of fearlessness (abhaya mudra) and the other in a gesture of boon bestowing (varada mudra). 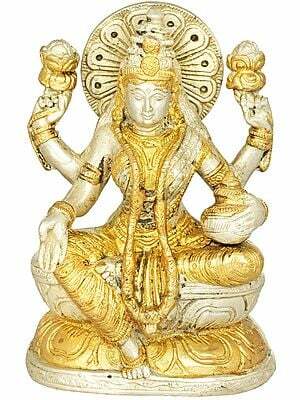 This sculpture was prepared in the city of Aligarh, in the central Indian state of Uttar Pradesh.